Some projects are easier than others and if you’re looking for a sheet metal fabrication specialist, knowing where to start is the hardest part. Sheet metal fabrication is a very specialist industry and depending on your project it can be a daunting prospect searching for the right supplier – so here are some tips to get you started. Steel fabricators and sheet metal fabrication companies come in many shapes and sizes – as do the products they produce. Ideally, when searching for a company for your project you should consider the experience of the firms in question. Experience in this case is in two key areas; firstly, in the types of metal that the company uses, this is crucial for smaller scale domestic jobs. Focussing your search on firms that have a broad range of experience working with many different types of metal is a good plan. For domestic projects you may be using less than standard types of metal and those firms with the broadest experience working in different materials will be the most reliable. Secondly, in terms of experience, look at the company’s past projects and the types of industry they work in. Some may specialise in certain areas but, again, finding companies that produce fabricated metal products for a wide range of industries – automotive, medical, telecoms and domestic design, will give you a clue as to their flexibility. Steel fabrication is pretty specialist work and requires knowledge, skill and the right kit! Finding companies with access to experienced and talented workers is a must if your finished product is to turn out exactly as you want – and also fit for purpose. Sheet metal fabrication in Yorkshire is a very traditional industry – think Sheffield and the surrounding area. Companies based in this part of the world have access to skills and knowledge that goes back a long way, although this doesn’t mean they are afraid to get all cutting-edge when they have to. 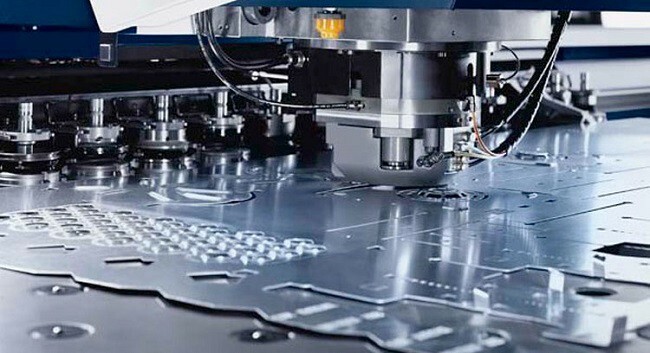 Most homeowners won’t have so much knowledge of the types of equipment that metal fabrication firms use; however, equipment such as laser cutting machinery is the stuff to look out for. The benefit to this kind of kit is that it allows for extreme precision – usually important in domestic projects – and also speed of production. This last factor affects the cost of the project and companies who also use the latest software to design and build will be able to accurately cost and quote for your project as well as produce the finished product to your required timescale. Finally, cost does deserve a mention. Whatever your project, costs will always be a factor; when it comes to sheet metal fabrication, however, don’t close your eyes, cross your fingers and opt for the cheapest manufacturer. Small to medium companies should be able to quote competitively and it’s these firms to focus on, however, take the factors discussed above into account over the cost. Cheap is rarely cheerful when it comes to specialist products and this is more than ever the case with bespoke sheet metal products. Get in touch today to find out how Yorkshire Laser and Fabrication can help with your project.